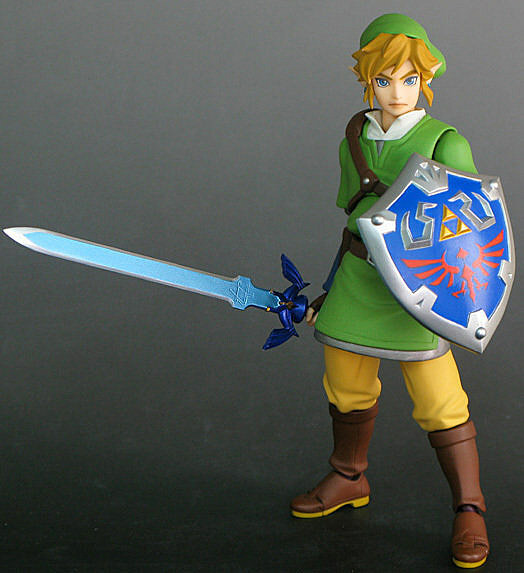 Despite the popularity of Nintendo's The Legend of Zelda series of games and tie-in comics, action figure collectors have historically had few options when it comes to picking up an articulated version of main protagonist Link. 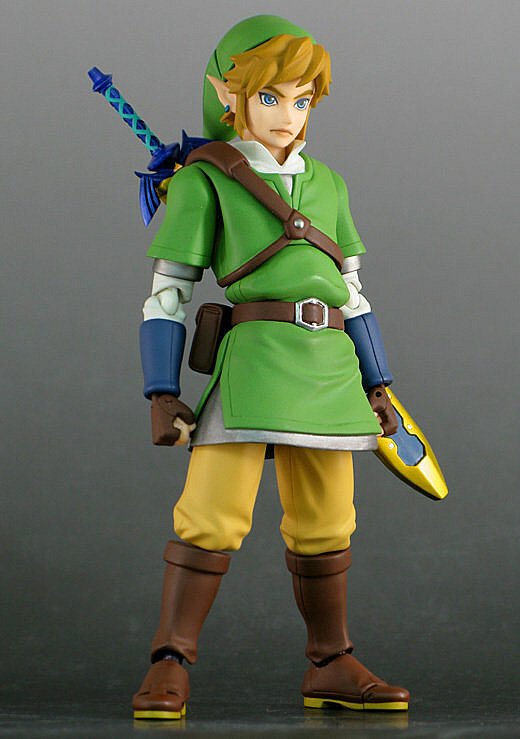 In October Max Factory will rectify the situation with a super articulated Figma version of the hero from The Legend of Zelda: Skyward Sword, the latest installment of the series. 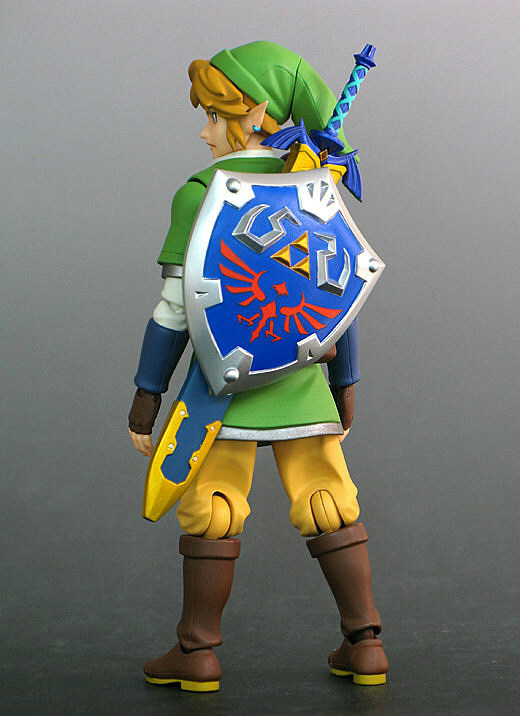 Packed with a Master Sword and its sheath, a Hylian Shield, translucent plastic effects parts simulating combat slashes and an alternate face the figure will be available in Japan and via North American importers for ¥3,800 (around $48 USD) in a few months. It's a bit pricier than the '90s BD&A or Toy Biz Ocarina of Time figures were in their heyday, but considering how much those older, far less detailed and articulated toys fetch on auction sites these days, it kind of seems like a bargain. 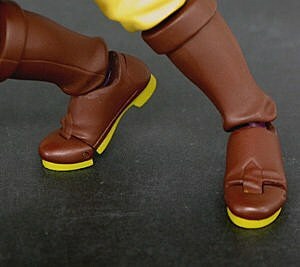 If you pick up the Samus Aran Figma, you can even make a plastic Super Smash Bros. scenario come alive on your shelf. 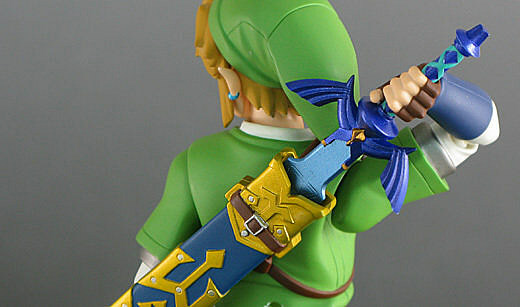 Take a closer look at the upcoming Link Figma after the cut.